Even before its unprecedented expansion through the Merced 2020 Project, the University of California, Merced, has directly contributed more than $1.4 billion to the San Joaquin Valley economy to date, and more than $2.6 billion to the state’s economy, according to the university’s annual Economic Impact Report. Wages and benefits, construction contracts, research expenditures and the purchases of goods and services are the major drivers of the university’s financial infusion into the economy. These benefits will multiply significantly during and beyond the four-year construction of the 1.2 million gross-square-foot expansion that will allow for significant enrollment growth and hundreds of new faculty and staff positions. 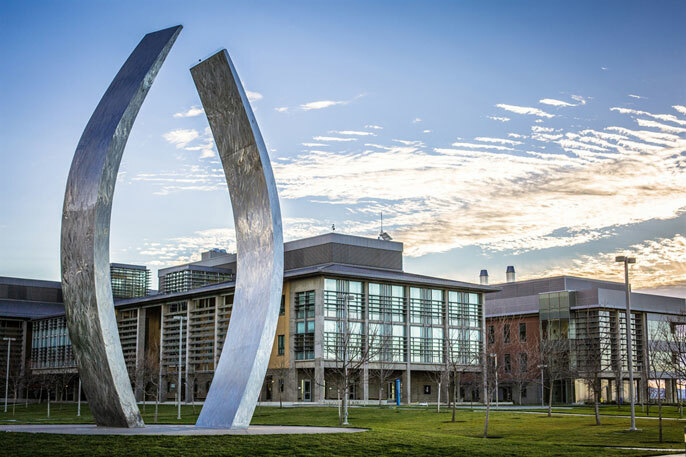 UC Merced now employs more than 3,300 people, including student workers, making it one of the largest employers in Merced. The payroll since the campus began operations in July 2000 now totals more than $1.08 billion, and payroll for August 2016 alone was more than $14.31 million. Research expenditures, fueling scientific discoveries and increasing spending in the local economy to more than $172.82 million; local purchases, contracts and wages since then add up to more than $1.44 billion; and statewide purchases, contracts and wages since 2000 total more than $2.64 billion. Research conducted by the UC Office of the President has shown that these investments generate economic “ripple effects” that typically double or triple the value of the original investment. The campus plans to double its physical capacity through the Merced 2020 Project, which began construction this fall. Over the next four years, the campus will add 1.2 million gross square feet of academic, administrative, residential and recreational facilities to accommodate a projected enrollment of 10,000 students. The expansion will add 400 permanent faculty and staff positions and many more jobs within the local community, and is expected to generate $1.9 billion in regional economic impact and $2.4 billion statewide over the next four years. Separately, UC Merced is building a 67,400-square-foot facility in downtown Merced to provide additional capacity for administrative staff and to promote closer interaction with the community. The $45 million Downtown Campus Center is expected to be ready for occupancy in late 2017. UC Merced is also increasing support for local business development through the UC Merced Venture Lab, in the Parcade Building near the new downtown center. There, UC Merced professors and students work closely with local entrepreneurs in a small-business incubator designed to convert ideas into commercially viable enterprises. The campus is also being recognized externally for its impact on the region’s economy. Merced city and county officials have touted UC Merced as the “catalyst” for a number of new development projects and downtown renovations, and a recent report from Governing Magazine showed that the Merced metropolitan area has experienced the top personal income growth of any region in the nation since 2012.